Nostalgic glass ornaments add the vintage touch to your holiday tree. 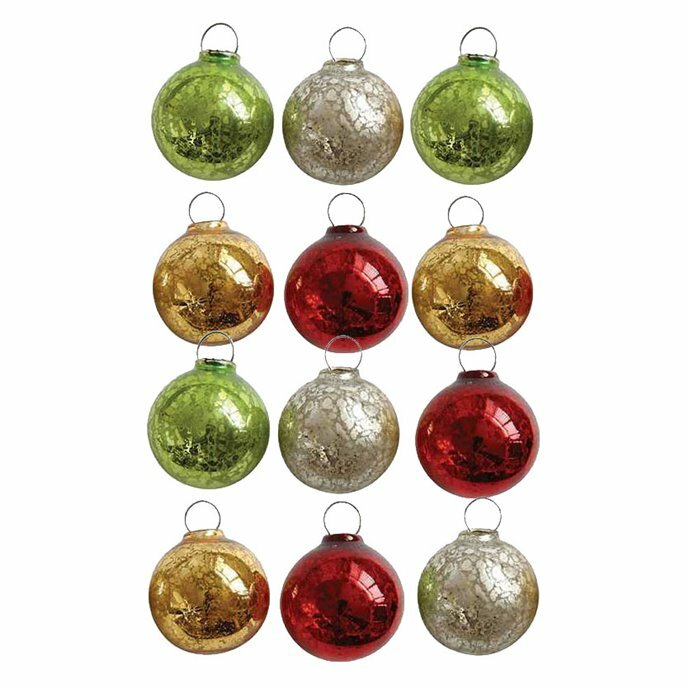 In the style and colors of yesteryear, this set of 12 assorted glass ornaments is ready to spread cheer in traditional Christmas colors of silver, gold, green, and red (3 ornaments in each color). Boxed set of 12. Each ornament measures 1". Made in China.